The National Sustainable Agricultural Information Service describes fertile soil as soil that is soft and crumbly, drains well, does not crust, stores moisture, resists erosion and nutrient loss, supports high populations of microorganisms and does not need increasing inputs for high crop yields. Fertile soil can be created from any garden soil type, including clay and sand soils. Organic gardening focuses on soil health because fertile soil is the source of nutrition in food. Fertile soil provides 17 essential nutrients for growing plants. There are several ways to create types of fertile soil. “Compost contains a full spectrum of essential plant nutrients,” according to a Washington State University report on compost fundamentals. Compost added to garden soil increases the living organism population and therefore soil fertility. Compost releases nutrients slowly as growing plants can use them. Synthetic fertilizers give a boost of quick growth to the plant but do not increase soil fertility. The living organisms in composted soil reproduce and continue to increase fertility over months and years. The no-till method of gardening reduces the deterioration of soil fertility that occurs from excessive disruption by shovels or machinery. Those practices introduce oxygen into the soil, which speeds decomposition of organic matter. Retaining organic matter in the soil increases its fertility. The American Dahlia Society recommends the no-till method as easier and as a disease-preventive measure as well. Plant residues are cut off at the ground level after harvest and are simply laid on top of the soil. They decompose slowly, releasing nutrients and protecting soil from erosion. Cover crops are also called green manure. They increase soil fertility by providing a constant source of nutrients as the plants grow and as they decompose. In large-scale farming, cover crops are sown thickly to form living mulch between crop rows. They keep the area weed-free and prevent soil erosion. 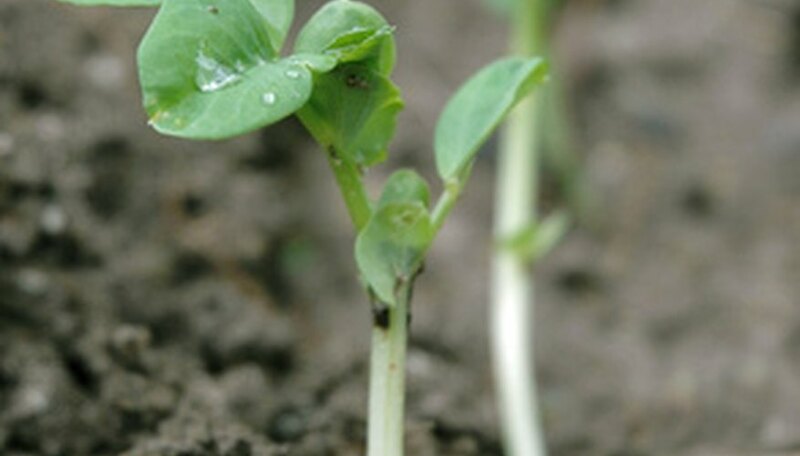 A cover crop planted in early spring will make soil more fertile by summer. Clover, peas and beans as cover crops improve soil fertility by adding nitrogen.